Never mind the mice with miniature human brains. With a lion's head full of gnashing teeth sitting atop the body of a goat and a snake for a tail, the Chimera of Greek mythology is a terrifying sight -- and that's before it starts breathing fire. Chimera have long served as cautionary touchstones in popular culture, often as examples of humanity's foolhardy quest to control nature. Take for example the tragic tale of Nina Tucker from Fullmetal Alchemist, the residents of The Island of Dr. Moreau or Sorry to Bother You's genetically-engineered slave race of Equi Sapiens. But in the medical field, chimera -- real life human-animal hybrids -- could hold the key to solving the global shortage of transplantable organs. Our ability to treat the human body like a fleshy Mr. Potato Head only works if all the bits and pieces being swapped are human in origin. And despite there being 7 billion potential donors available on the planet at any given moment, the world faces a persistent shortage of viable organs. Between the widespread adoption of seatbelts and motorcycle helmets, there simply aren't enough spare body parts available for everybody who needs them. 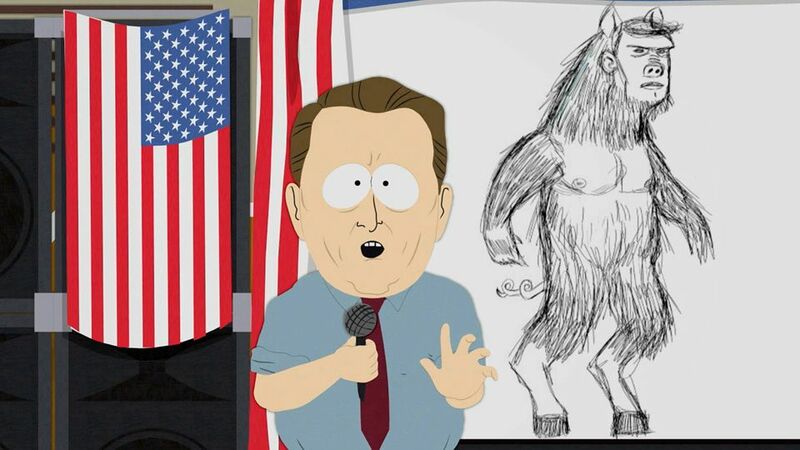 But that's where ManBearPig comes in -- well, pigs and man at least. Thanks to their anatomical and metabolic similarity to humans, pig organs have been used in xenotransplantation -- the practice of moving organs from one species into another -- since the technique's founding more than a century ago (by French surgeon Mathieu Jaboulay). In 1906, Jaboulay pioneered the technique by moving a pig's kidney to one woman and a goat's liver into another. Neither patient survived. This is because while human-to-human transplants will instigate a reaction by the immune system leading to the body rejecting the new organ, pig-to-human transfers crank the immune response up to 11, sending it into "hyperacute rejection." For more than 100 years, that overwhelming DEFCON 1 reaction to organs from other species has prevented xenotransplants from regular use. However, recent advancements in genetic engineering -- including CRISPR technology and the rise of more potent immunosuppressant drugs -- have revitalized the field and could help eliminate both of those technical roadblocks. With the aid of CRISPR technology, scientists can deactivate potential genome-hopping viruses called porcine endogenous retroviruses, or PERVs, as well as drastically reduce the host's immune response. At a 2017 meeting of the International Xenotransplantation Association, a number of research teams showed off the results of their recent research efforts. "What we thought was very far away seems to be coming to the near future," Muhammad Mohiuddin, a cardiac-transplant surgeon at the University of Maryland School of Medicine, told Science. A team from Emory University in Atlanta announced it had managed to keep a kidney from a transgenic pig host stable in the body of a rhesus macaque monkey for 400 days -- 150 days longer than the previous record. Similarly, a research group from the University of Munich announced it was able to double the post-op survival record for a pig-to-baboon heart transplant to 945 days. 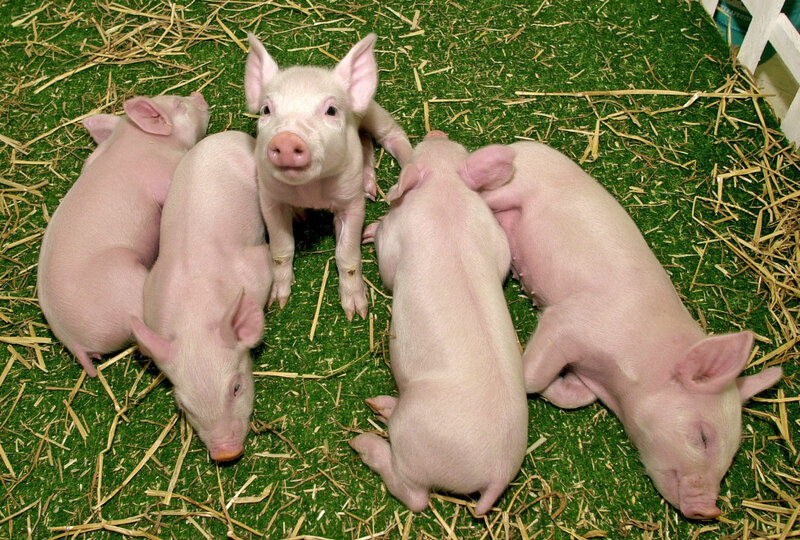 What's more, Chinese biotechnology startup eGenesis announced that same year that it had cloned 37 PERV-free piglets, though only 15 of them survived infancy. The threat of novel viruses aside, the biggest hurdle to overcome in xenotransplantation remains convincing the human body not to reject its donor organs. "If you put a baboon heart into a baboon, and you gave no immunosuppressive therapy, would survive about a week," Dr. David K.C. Cooper, co-director of the Xenotransplantation Program at the University of Alabama at Birmingham, told Engadget. "It would be the same, human-to-human. But if you put a pig heart into a baboon, it's going to survive about five minutes, and that is because we [apes] carry antibodies against pigs." Basically, as soon as the donor organ is connected to the patient's body and is re-perfused with blood, antibodies bind to the antigens on the pig organ, and it immediately undergoes rejection. This immune response evolved initially to protect us from harmful bacteria seeking to colonize our gut, but those bacteria possess the same "targets" as pig organs, Cooper explained, so the body rejects them. There are, however, a couple genetic-engineering techniques that can help sidestep that issue. Cooper's lab will receive its first "triple-knockout pig" in the second week of August. As the name implies, these pigs have had three genes that control the expression of surface antigens forcibly silenced, which should reduce the chances of rejection as well as the need for so many immunosuppressive drugs. Scientists have found 20 more genes that play supporting roles in antigen expression, though research into the optimal mix of silenced and expressed genes is just getting underway. The human body doesn't rely on antibodies alone to defend itself. "There are known molecules in human organs that protect ourselves from various insults," Cooper explained. "For example, if we get an infection, then we activate those antibodies bodies that bind to those infectious organisms and they destroy the organism" in what's known as a complement cascade. There is a chance that human cells can be caught up in this cascade and suffer damage from it. That's why the body produces complement regulatory proteins, which shield our cells from the effects of the cascade, and why pigs have been genetically engineered to produce and exhibit those same proteins. Perhaps the most controversial genetic workaround being researched could eventually enable doctors to grow a patient's own damaged body parts in an animal host until they're ready to harvest. In the past two years, a number of research teams have made increasingly impressive inroads with human-animal hybrids. Real-life chimera. In 2017, an international group led by the Salk Institute successfully merged the cells of an embryonic pig with human stem cells. Essentially, it used CRISPR technology to knock out the genes responsible for, say, a pig's lung development and replaced them with those coded for human lungs. This was just a proof of concept, so the embryos didn't make it past 28 days, but another team from the Salk Institute managed to do the same and grow the pancreas of a mouse inside a rat. Amazingly, when parts of that pancreas were subsequently transferred to diabetic mice, it effectively cured the ailment. And it's not just pigs. In February, a research team from the University of California at Davis managed to re-create the pig-human hybrid with sheep. Those sheep embryos only contained 0.01 percent human cells by count, far too low to make for a successful organ transplant but a tantalizing development nonetheless. What's more, in April, researchers from the Salk Institute managed to transplant human stem cells into the brain of a mouse. Those implanted bits of human survived for an average of 233 days, though it's not known whether the additional gray matter significantly increased the rodents' mental capacities. While these techniques could one day lead to on-demand lab-grown organs, the research is already under immense ethical scrutiny. Public funding for chimera research is not allowed in the US, though in 2016 the National Institutes of Health did hint that it could be persuaded otherwise. As such, researchers are taking it slow. "The contribution of human cells, so far, is very small. It's nothing like a pig with a human face or human brain," Stanford University researcher Hiro Nakauchi, who collaborated with the UCD team, told National Geographic.